El Presidente 23 Humidor 50 Watt 0.8 cft. | KlarsteinEl Presidente 23 Humidor 50 Watt 0.8 cft. The Klarstein El Presidente 23 is the ideal storage place for elegant tobacco enjoyment. 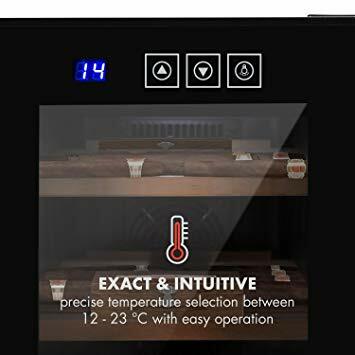 In the 0,8 cft (23l) interior, between 350 (prominentes) and 2350 (infantes) cigars can be stored on 2 storage levels and in a beech wood drawer. 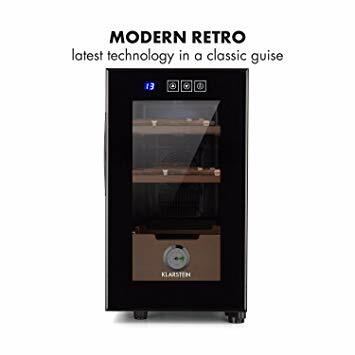 The Klarstein El Presidente humidor's built-in hygrometer with water bowl makes it easy to maintain the ideal relative humidity of 70% - so your valuable cigars will not dry out and will retain their full flavor for a long time. The elegant cabinet with sturdy, black body and double-walled glass door with stainless steel frame delights design lovers. The switchable LED lighting provides an overview of the interior and sets the Cuban delights perfectly in scene. 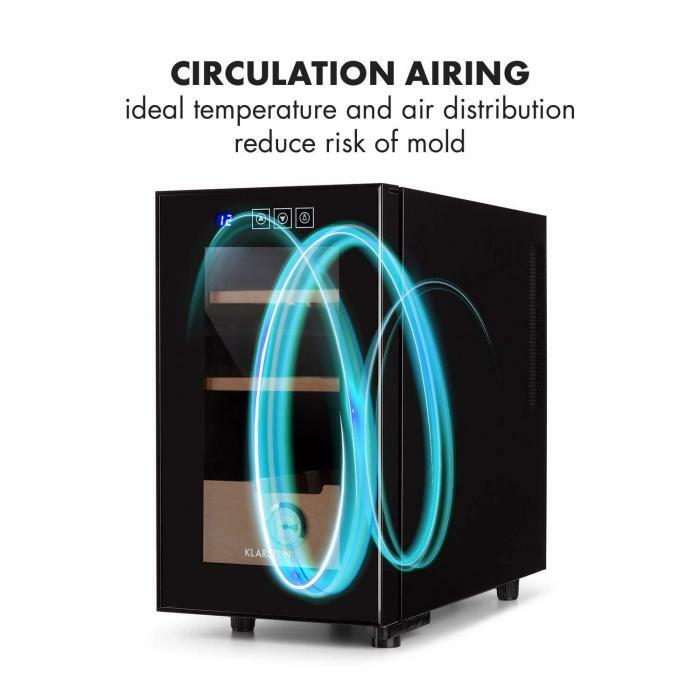 Constant storage temperatures with precision settings between 54 and 74 ° C via touch operation prevent the loss of aroma due to excessive heat. 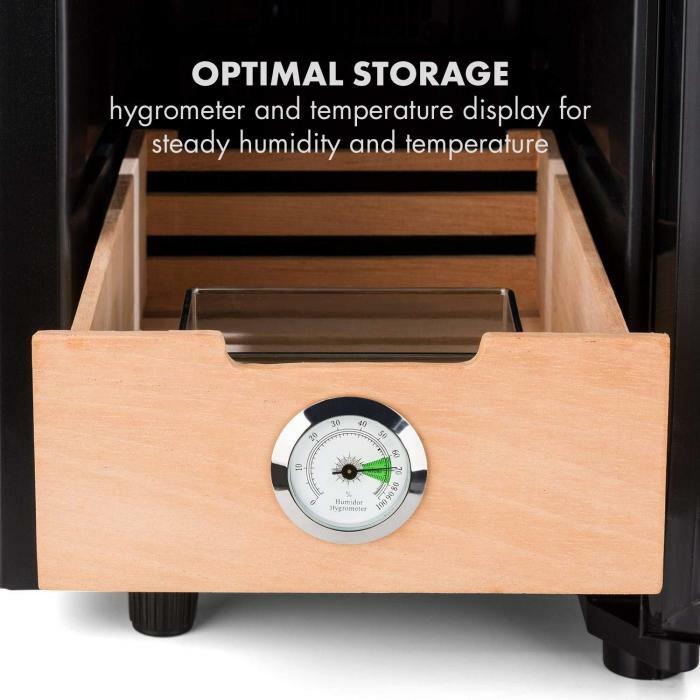 With the humidor, high-quality tobacco products are safely stored for the long term. 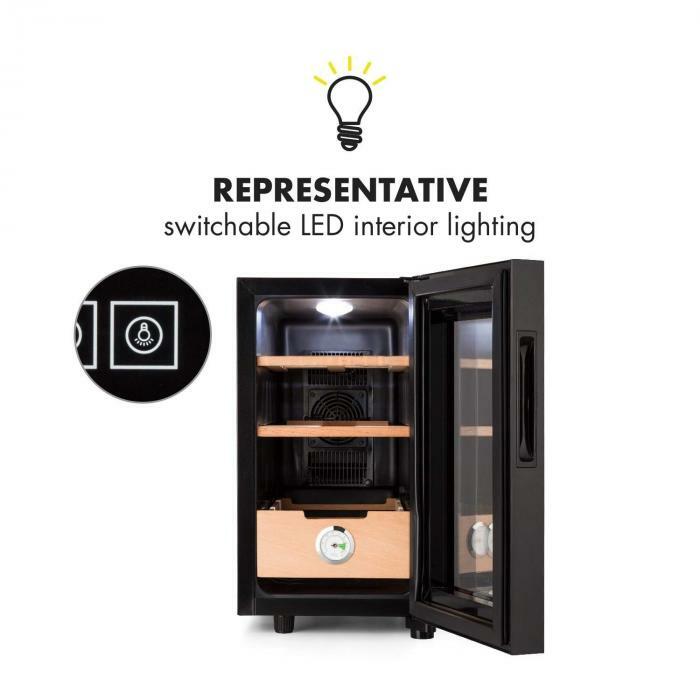 With a visual look that makes it ideal for presentation, the humidor is also very well suited for installation in bars or clubs. 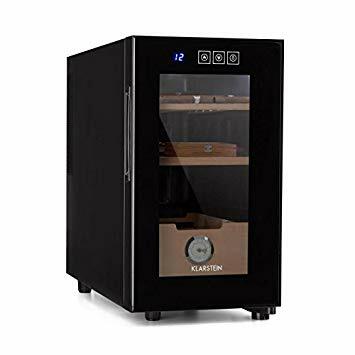 The humidor from Klarstein is compact, so it can easily find a place almost everywhere.